Just like numerous other Quantified Self enthusiasts, I, too, have been excitedly awaiting the arrival of the Basis Band ever since its announcement in the summer of 2011: An activity monitor that, aside from recognizing movement intensity, can also register skin resistance, energy released by the body and the heart rate. The most fascinating aspect of it all is the optic heart rate monitor integrated into the bottom side of the watchcase, which can detect changes in skin pigment caused by the heartbeat. In the past weeks, I tested just how well this new technology works. From an external glace, one can hardly see everything the Basis Band has to offer. It has a simple design and is not much larger than a regular digital watch – you can only tell the Basis Band is a health product by looking at the back. That’s where the electrodes are that measure the skin resistance and body temperature, along with the components for optic pulse measurement. Here, the skin’s surface is irradiated by the light of two green LEDs; their reflections on the skin’s surface are registered by a photocell and analyzed for systematic variations due to the heartbeat. It is especially this optic pulse measurement that distinguishes the Basis Band from all other currently available activity sensors. Several weeks of testing showed that this optic method in Basis Band does indeed work, but it also has its limitations. When resting and during moderate movement, the measured heart rate is very close the values measured by other sensors. However, when running, working out at the gym or during many other physical activities, the accuracy of the optic measurement does not suffice to deliver precise values. Thus, the Basis Band is not suitable as a heart rate monitor for endurance athletes. When comparing the strength of the LEDs on the Basis Band with those on the Alpha, which are both based on the same principle, their two differing basic concepts become apparent. Whereas Mio’s optic sensor is strong enough to recognize the heart rate even during intense training and for that needs to be recharged after just 10 hours, the pulse monitor on the Basis Band only partially works for physical activities, in return for which the battery lifetime of 100 hours allows a good long-term observation. The true advantage of the Basis Band therefore lies in the combination of the various values it measures, which allows a more precise calculation, inter alia. Thus, Basis’ algorithms use the difference between the temperature on the top and the bottom of the casing to distinguish the temperature released by the body in order to be able to deliver a more accurate estimate of the number of calories consumed. The recognition of sleep patterns also profits from recording different values. Thus, by combining the measurements of physical activity and changes of the resting heart rate, the onset, length and end of sleep phases can automatically be detected. 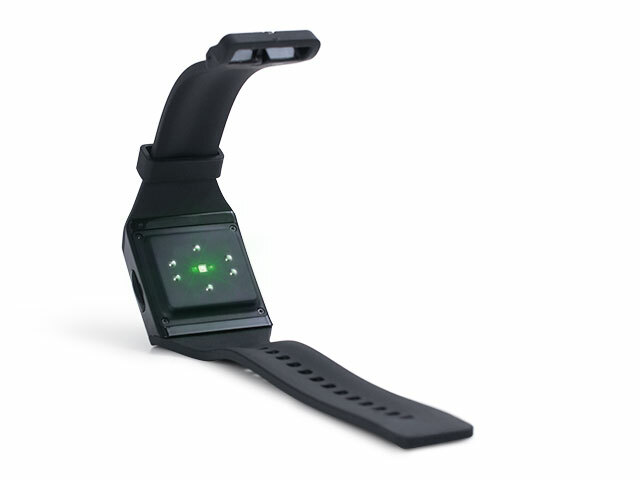 In contrast to other activity monitors, the Basis Band is a much more complex sensor that, with the capacities of algorithms growing beyond movement and sleep, could provide further health-related information. You can have a look at your measurement values on the Basis Band’s display or after uploading the data to the Basis online portal; an Android app should be available in several weeks. Aside from the current time, the display can also directly show your current pulse, your number of burnt calories and your step-count. In Basis’ online portal, which is currently in the beta phase, information about activity and sleep are the dominating aspects, from which you can choose a number of different goals. 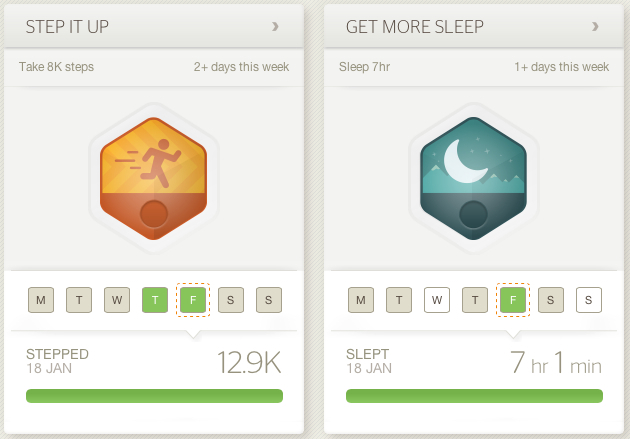 Compared to other activity trackers, the goals offered in Basis’ portal are much more specific – whether you want to sleep more, always go to bed or get up at the same time or get into the habit of a morning run – your adherence to the desired habits are carefully monitored by the sensor and visualized in the portal. In the process, Basis tries to help users who weren’t quite as successful to get back on track with a cleverly devised point system. To this end, Basis uses various game mechanics such as points and levels to playfully motivate the users to achieve their goals. It is also possible to delve even deeper into your own measurement values. Overall activity, heart rate, skin resistance and calorie consumption can be displayed graphically over the course of a week or compared on a daily basis. This offers a detailed insight into your own data that is not possible with any other currently available activity sensor – a download of the data is currently not provided. In order to view your stats on the portal, the Basis Band must be connected to a computer; but because of the current beta phase, it can take several minutes for the uploaded information to become available. However, the Android app, announced for March, in conjunction with the Bluetooth synchronization, should be able to greatly improve the user’s experience. With its four days of battery lifetime, the Basis Band for the first time enables a simple and continuous tracking of various health parameters, although it cannot replace specialized heart rate monitors for athletic training. Instead, with the Basis Band you receive an innovative product that can help create new habits. Should they succeed in producing this high-tech sensor in larger numbers and in enabling better data access with a smartphone app, I see great potential for Basis’ approach. The Basis Band could become an interface to the body, supporting people in an active lifestyle and providing physicians information that can significantly improve medical treatment. 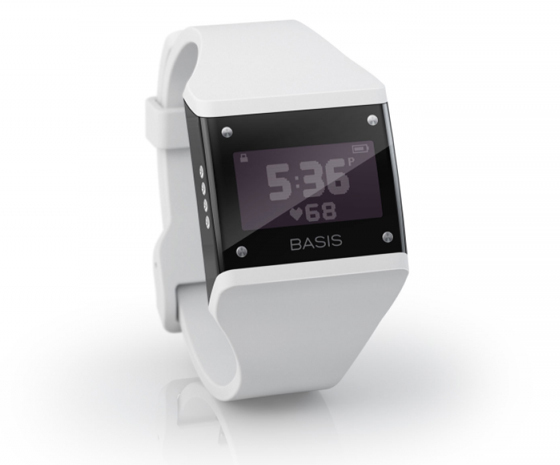 With the Basis Band, the industry is at the beginning of the trend towards such an interface. Therefore, the further development of the Basis Band remains quite exciting. This is a guestpost from Winslow Strong, author of the blog Biohack Yourself. 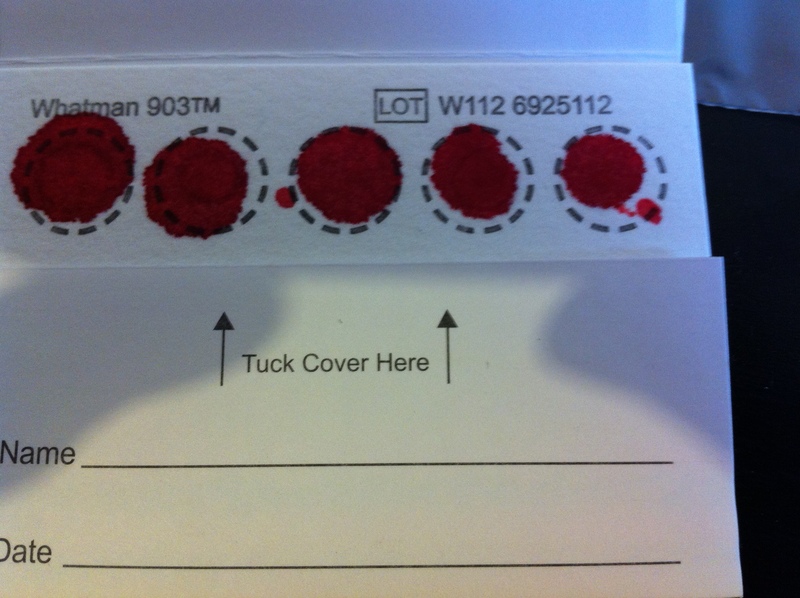 Winslow was one of the early backers of the crowdfunded startup Talking20 and describes the service and his experience of taking his blood sample. 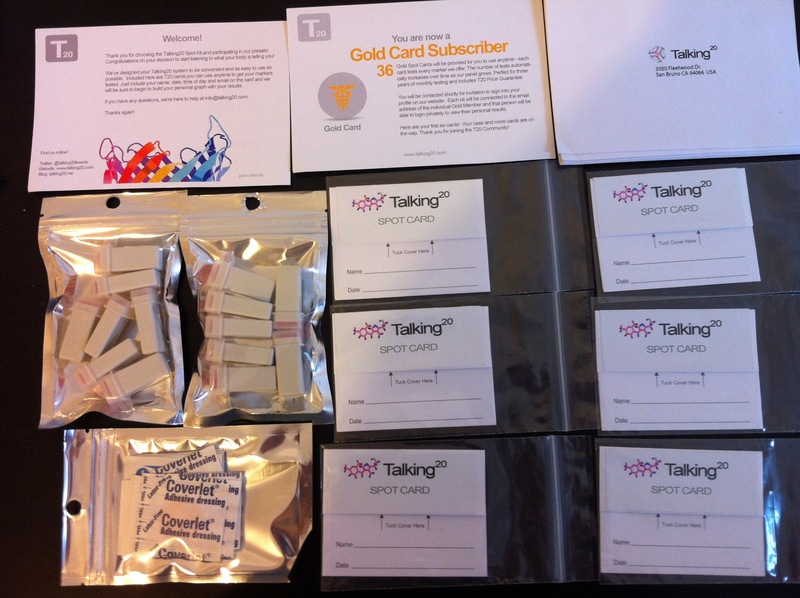 Talking20 is a recently founded direct-to-consumer biomedical testing company. 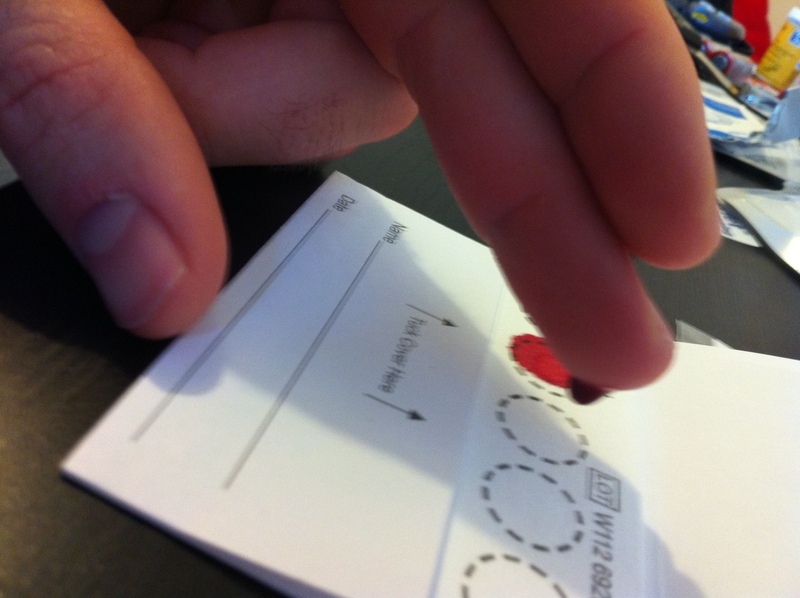 Their mission is to transform useful biomarker diagnostics into do-it-yourself at-home tests. As a biohacker, I love this idea. It allows me to get enormous amounts of useful data on how my self-experiments in diet, exercise, sleep, supplements, etc impact my biology. Plus, it saves me a moderate amount of time and a ton of money (I wouldn’t be able to afford it) compared to getting these tests done in a doctor’s office or lab. Furthermore, a doctor will probably only give you results on a printed sheet, and probably only upon request (after looking at you strangely). Talking20 will give you a web-accessible graphical presentation of your values over time, which is much more convenient, especially for those of us who tend to move around frequently. T20 raised some initial crowdfunding via an Indiegogo campaign. What particularly caught my eye, and I ended up purchasing, was their Gold Card package of 36 cards, each of which will give you results for every single test in their catalog at the time when you use it. You can use each card whenever you want – e.g. use one weekly as you intentionally overtrain yourself, in order to get a signature for the hormonal changes that occur, so that you can ID them more easily in the future. Or use one once a year if nothing big is changing in your life, and you just want a nice complete blood panel done at a fraction of the price. It’s your choice, but you can take as long or short as you desire to use your Gold Cards. My initial package contained 6 Gold Cards, (the other 30 will be sent as needed) 6 addressed envelopes for mailing them, instructions, 14 lancets (for pricking your finger), and a bunch of alcohol swabs and band-aids. They rushed these packages out to the Indiegogo campaign funders, so we have to wait a bit longer for the storage box that will help us keep all our supplies organized. This is fine with me, as everything needed to get started was in this initial shipment. Gold card holders will receive the new tests automatically as they become available. Middle finger – Talking20 advises either using the tip of your middle finger or the outside of your ring finger. Visually, my middle fingers look like they carry more blood, so I chose them. After washing your hands thoroughly with soap, soak the collection hand (and wrist if you can fit it) in a large pot of very warm water. This will help dilate the capillaries of your finger with blood, and keep it coming as you squeeze it out. After drying your hand thoroughly, use an alcohol swab to disinfect and clean the collection finger. Prick your finger with the lancet, pressing firmly. The lancet is spring-loaded, so when you push your finger sufficiently into it, a spring releases, generating enough momentum for a prick. I found that I had a natural flinch instinct to overcome, because I knew I was pressing my finger into a spike. But the lancets are very well-calibrated, not particularly painful, and to get a deep enough prick, I found I really did need to press quite firmly into it. “Milk” the finger. Use firm but not ferocious pressure to squeeze your finger as you simultaneously slide down it from the base towards the tip. I found it better to not actually squeeze right around the prick site, as this mimics the “apply pressure” advice you hear for wounds to get them to stop bleeding. It worked best for me to apply pressure up until I approached the prick site closely, but was not quite bracketing it. Repeat this many times and your blood drop will grow in size. As the blood drop starts to hang unstably from your finger, try to delicately let the center of it touch the center of one of the circles. You may need multiple pricks. I only got two circles out of each prick, so I had three pricks in total. If you haven’t taken your own blood before, then you might need some trial and experimentation at first to get it right. Hopefully, my advice above will prove useful. I would rate the difficulty of this procedure as moderate for first-time users, but that should change to easy by the second or third time as you get the hang of it. It’s not rocket science, nor is it very painful. 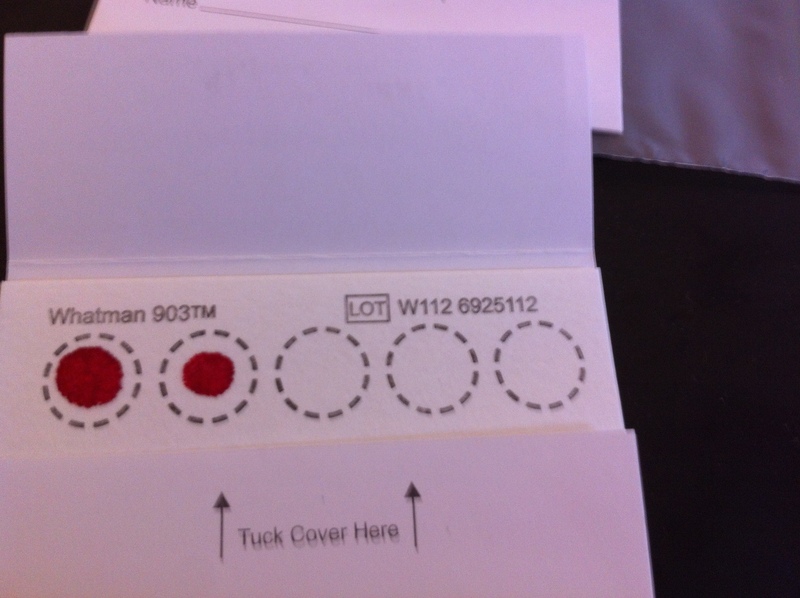 Overall, I’m pleased with the blood sample collection process. This product is currently one-of-a-kind and is more convenient and potentially much cheaper than a trip to the doctor’s office to get the same results, depending on your insurance coverage. I’m really looking forward to having a huge array of biomarkers available through Talking20 in the future. I’ll cover that part of the T20 service when the analysis is ready, projected to be in April. Disclaimer: I am in no way affiliated with Talking20 at the time of this writing, March 2, 2013. This is a guestpost from Winslow Strong, Entrepreneur, Biohacker and Organizer of the Zürich Quantified Self Meetup. For more information about Biohacking visit his blog Biohack Yourself. After an extremely negative experience with the Philips customer service, I promised myself several years ago never to buy another product from the Philips group. 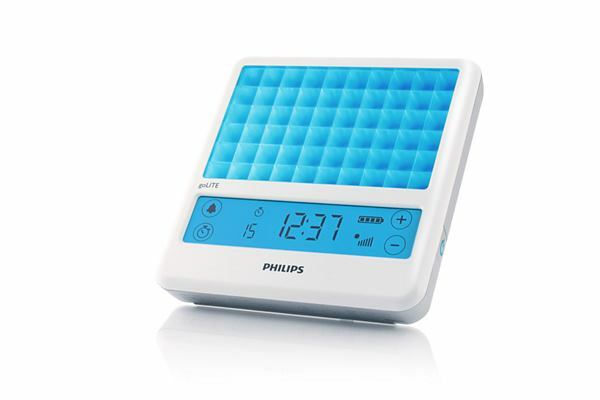 However, since Philips has meanwhile established itself as a manufacturer of highly innovative wellness products such as massage devices or phototherapy lamps, I quickly strayed from my initial intent. 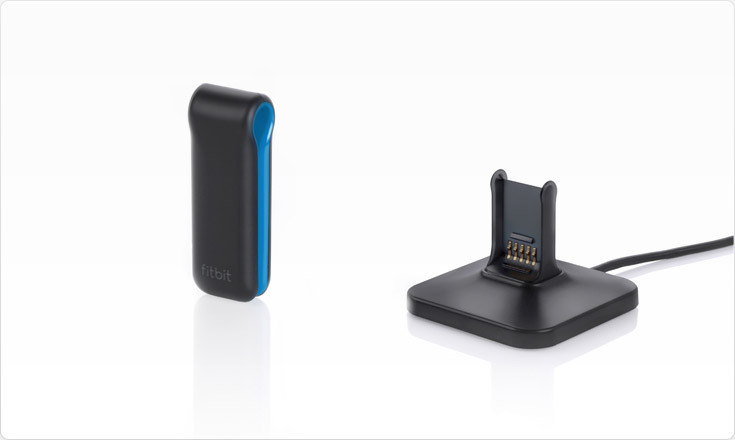 Philips Airfloss is the newest lifestyle innovation of the Dutch enterprise – and even if the device hardly contains digital components and does not collect data, I would still like to introduce this small revolution for the bathroom here. Philips Airfloss is a device used to clean the spaces between your teeth and is thus perfect for all those who love gadgets and can’t be bothered with dental floss. The cleaning is administered by a stream of air and microscopic water droplets, which are shot through a nozzle into the spaces between your teeth. 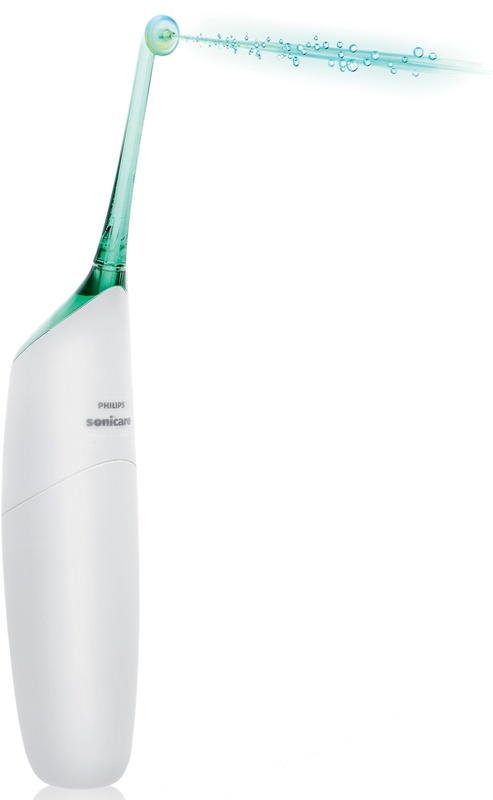 In this way, the Airfloss is similar to an electric toothbrush, except that it has a liquid tank and instead of a brush, there is the nozzle that ejects the cleaning jet. Just as with dental floss, cleaning the gaps between your teeth proceeds one space at a time – the Airfloss has to be repositioned each time and the shot-like jet of air and water needs to be triggered with a button. In practice, this is a sensible and pleasant activity – using it is simple and it leaves a fabulous sensation in your mouth. Alternative to filling it with water, the Airfloss can also be used with mouthwash, so that the cleaning process can be combined with refreshing and disinfecting your mouth. The material, design and production quality are suitable for the price of $99, and the Airfloss battery can last several weeks, depending on how often it is used. The supply in the water tank is empty after one or two applications – a reasonable design decision, when you think about it, considering it keeps you from spraying stale water into your mouth. 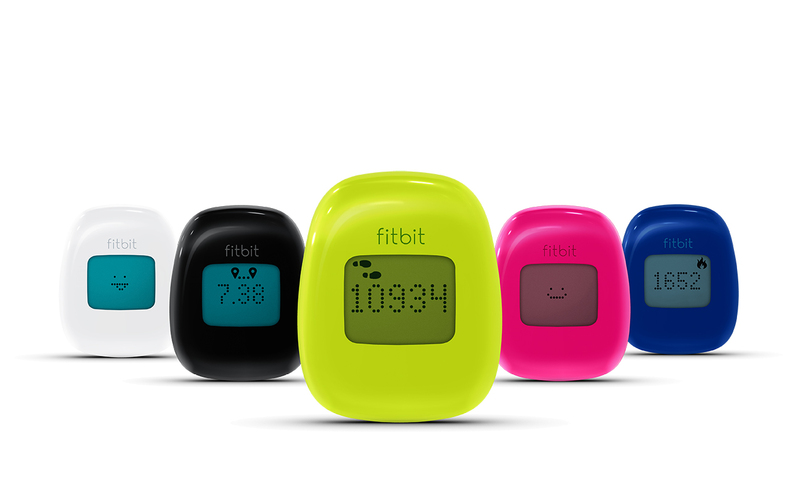 Over a year after updating its last pedometer, Fitbit presented two new products – the Zip and the One. The Zip is conceived as the beginners’ model with a more narrow scope of functions and yet it offers a decisive advantage – the device runs with a battery for half a year and does not require recharging. Aside from that, the Zip behaves similar to the previous model Fitbit Ultra, only that it doesn’t count floors and cannot be used to measure sleep patterns. As an additional function, Fitbit integrated data transfer to smartphones via the new Bluetooth 4.0 standard, which allows a more energy-efficient data synchronization currently on iphone 4S, 5 and a few Samsung smartphones. The Zip has an oval shape and comes in various colors. The design and the material have a classy appearance, which creates the impression of a real lifestyle gadget. 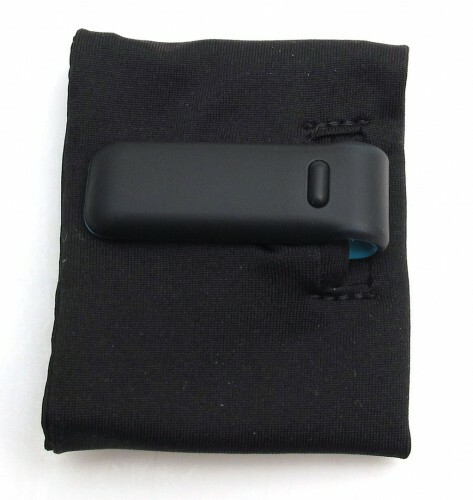 In other aspects, the little sensor also make a sophisticated impression – depending on your personal likings, you can place the device in your pocket or attach it to your waistband, bra or necklace with the protective rubber cover that comes with it. By tapping on the casing, the Zip’s screen is activated and the display of the current step-count or time is opened. Further information can be obtained with the iphone app, where your current number of steps, amount of burned calories and personal activity can be compared with your friends. 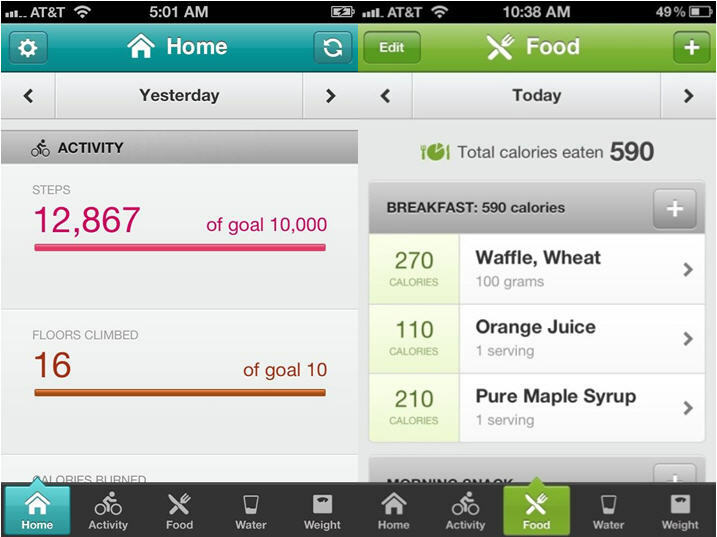 The app can also be used to record your nourishment in order to gain an overview of your calorie intake. 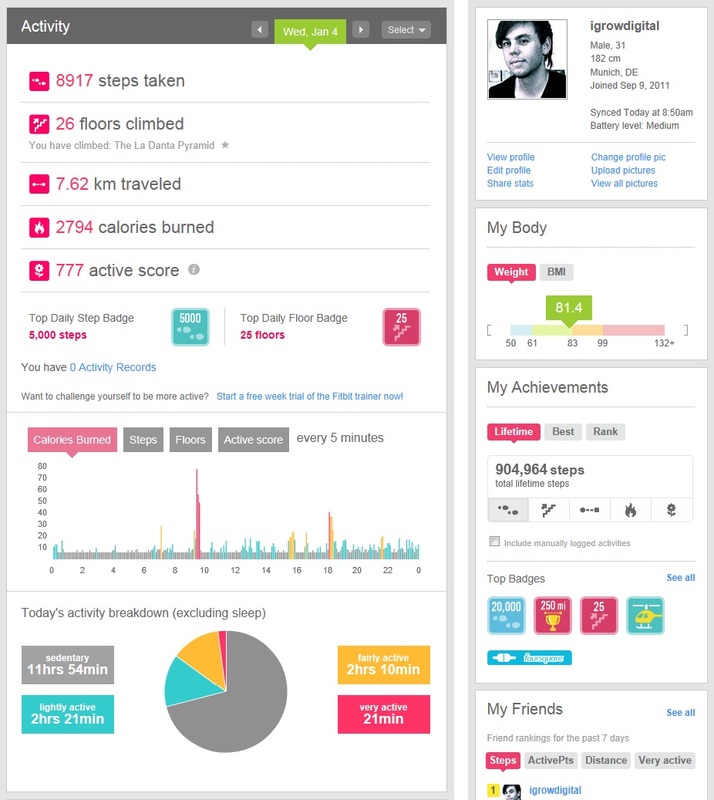 The online profile offers even more detailed information, where aside from your step-count you can also review an activity index and an activity profile over the course of the day. On top of it all, this online profile also offers the ability to record various health values such as blood-pressure and blood-sugar levels in order to compile your own health file as needed. Fitbit’s new tracker boasts a compact design, convenient data transfer with Bluetooth 4.0 and practical handling without having to recharge the device. 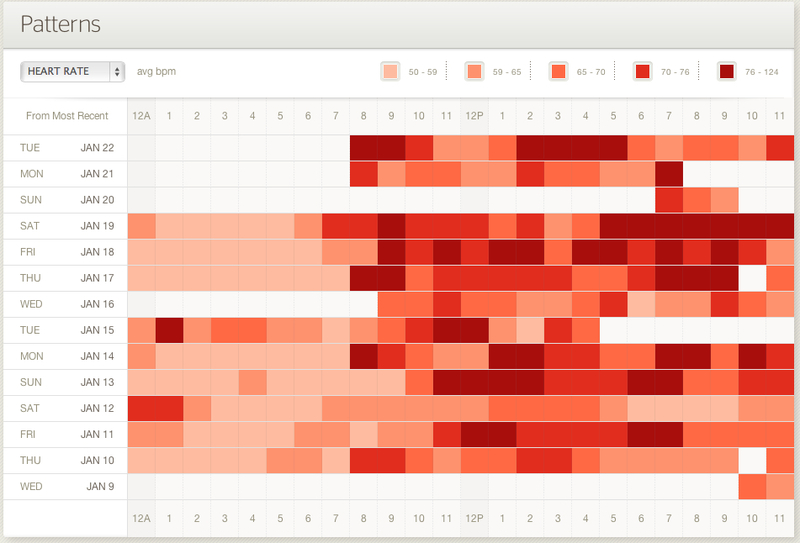 The app and the online platform allow the extensive analysis and individual complementation of activity data. This spectrum of functions, the great design and the price of $ 59,90 earn the Zip a clear recommendation for beginning and advanced users alike. However, those who would like to be able to record their sleeping patterns as well should have a look at Fitbit One, on which I will also provide a short account soon. Nike+ Kinect Training is a fitness game for Microsoft’s XBOX. It uses the cameras of the Kinect game controller to monitor the correct execution of each exercise and to turn physical activity into an interactive game. Nike’s newest product from the Nike series is a training game that uses a personal trainer and a clever game design to make athletic progress easy and comprehensible. At the beginning of the game, you can choose your personal target from the options of muscle building, toning or weight reduction. This is followed by an assessment that determines your current condition. During the corresponding exercises, you move in front of the screen, jump to various positions as quickly as possible, dodge obstacles or demonstrate your flexibility to eyes of the cameras. After finishing the assessment, the personal trainer guides you through your training plan, which is developed with a level of difficulty that takes your personal constitution into consideration. For each activity you collect Nike+ Kinect Training fuel points, which complement your scorings of other Nike+ products such as Fuelband on your online profile. With this, Nike has developed a harmoniously interconnected ecosystem of Nike+ products. One new thing about the Kinect game is the distinction of fuel points between fitness fuel and athletic fuel points, which allows a more exact differentiation. The following trailer offers an introduction to how the new game works. Your display’s color temperature is ordinarily designed to simulate the color temperature of bright daylight. This raises your serotonin levels and stimulates your physical activity. When using your computer during the daytime, this provides a healthy stimulus to keep you awake, but today many of us use our computers until late into the night. When we do so, the daytime-like light stimulus can interfere with our natural biorhythm and influence our sleeping habits in a negative way. f.lux is a plugin for your mac that runs in the background and changes your screen‘s colors to warmer tones after sunset. This subtly helps your body calm down and prepare its bio-rhythm for a good night’s rest. The plugin itself is totally simple: Just select your preferred color temperature for day- and night-time, and allow using your current location so that the timer can automatically be adapted to the times of sunrise and sunset in your area. Once you’ve adjusted these settings, your screen‘s colors automatically dims after the sunset. If a situation arises in which you actually do want the full blast of brightness at night, you can easily pause or stop the dimming effect of f.lux. I’ve been testing f.lux for several months now, and I really like its calming effect. When working in front of the computer until late at night, the warm screen colors really help to tire me down more naturally and allow me to get myself from work to sleepy mode in an instant. When considering the possibilites that for example f.lux or Philips’ goLite have to offer, I see a whole range of intelligent and interconnected light environment solutions coming up in the future. Since many of us spend such a great amount or our lifetime facing a computer screen, f.lux already does a great job at supporting our physical wellbeing today. Thanks to the developers, you can download the mac os plugin for free here. 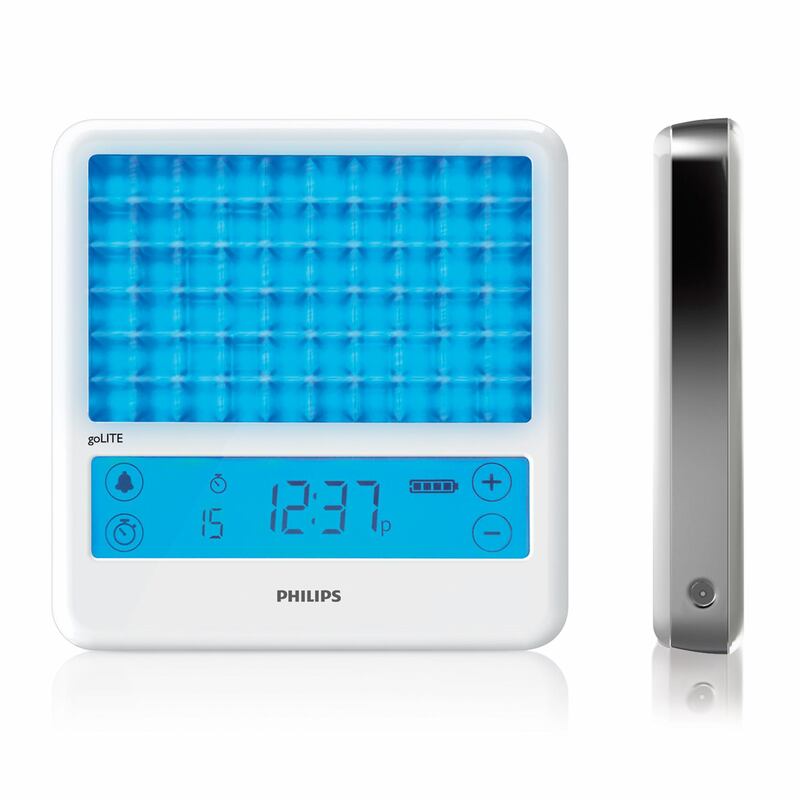 Philips goLITE BLU – based on the concept of light therapy – is a cool gadget. The small LED lamp shines blue light similar to a clear and sunny sky. In doing so, it increases your energy levels and helps alleviate symptoms of the winter blues. The goLite is a light therapy product, which can be placed at an angle in front of you, in order to stimulate your body. Since it only emits light from the blue spectrum, you might want to use additional light sources to illuminate your work space. I’ve been using the goLITE for 4 weeks now and already I feel really good about it. Turning on the blue light feels like an energy boost, which is really helpful because according to my startup’s soon to be launched first product, my nights have been shorter than my sleep sensor suggests. But as soon as I switch the goLite lamp on, I immediately feel more alert and focussed. To be sure that I’m not just running into a placebo effect, I gave the goLite to my colleagues to try. They came to the same result as Phillips, who has clinically proven that their range of light therapy products really do work at a physiological level. The goLITE has about the size of 2 stacked CD trays and comes with a built-in battery that makes it perfect for taking along wherever you go. One full charge lasts for at least three phases of 30 minutes light exposure, which Philips suggests as a daily minimum in order to generally improve your well-being. The tiny device also works as an alarm clock and will wake you up simply with its blue light or with an additional ringtone if needed. All of its functions can be controlled with a touch display, which gives the device quite a modern feel. The goLite’s price of 200$ may seem a little high for a product that is actually just an additional lamp to stimulate your well-being and doesn’t even replace proper light sources. But either way, I find the effect of the blue LED light so positive, that I would recommend it to everyone who wants to boost their mood and energy level in the winter days. Now that I have been surprised by the power of light stimulation, I am really looking forward to future light therapy products that can be integrated into smart home control and health management systems. So far, I enjoy goLITE’s benefits in the busy days before lauching our software. If you want to know more about that and other innovation in health and personal development, come back soon and follow or like igrowdigital. Fitbit Ultra, the latest update of the original Fitbit, is a step counter, which allows monitoring your overall daily activity. The current version also comes with a new stairclimb detection and has additional features such as a clock and a stopwatch. The small wearable sensor can be clipped onto your clothing or placed in your handbag. 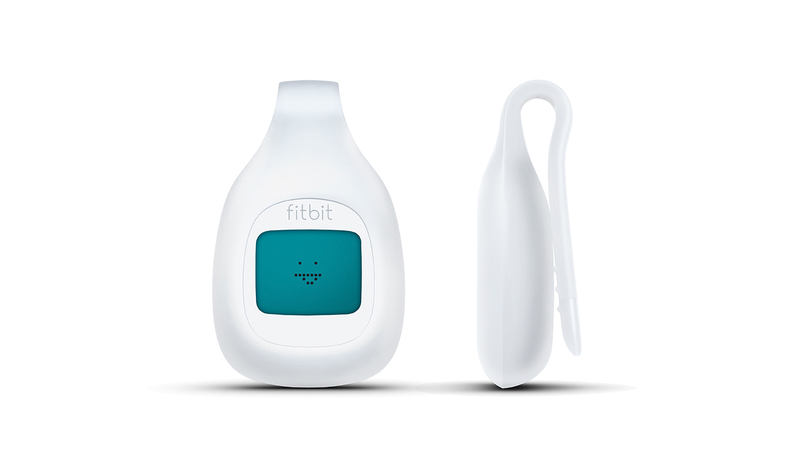 It comes with a computer connected base station for charging the sensor and transmitting your data wirelessly from the Fitbit device to your online profile. In its default settings, Fitbit suggests that you take an average of 10,000 steps each day in order to maintain a generally healthy condition. Obviously, this daily target, along with the number of stairs to climb, can be adjusted to your personal needs. Right on the website’s dashboard, you can see how well you’ve achieved your weekly score represented in the number of steps you’ve taken, stairs you’ve climbed, or calories you’ve burned. A number of other stats display ratings such as how long you are active each day, or how long and how well you slept at night. In order to better visualize your stepcount, Fitbit has implemented some game mechanics in the form of badges that are rewarded according to the number of steps you take. These badges can be linked to foursquare, where they are displayed on 4sq’s website in the partner badges section. In the website’s log section, you can track other health information such as nutrition, non-stepcount related sport activities or physical parameters such as blood pressure or body weight. Your Fitbit online profile is compatible with Runkeeper’s health graph. When both services are connected, they will automatically share their data, even when obtained from third-party providers such as Withings Wifi Body Scale. Now, with the product update, Fitbit also features an iPhone application, which helps you track your nourishment and overview your stats on the go. The Fitbit can also be used as a sleep sensor. In order to do so, the device must be attached to an armband, which you wear while sleeping. By measuring your overnight movement, Fitbit detects whether you are asleep or awake, and gives you feedback on your sleep quality. Does Fitbit help staying fit? Fitbit does a great job at monitoring your step count. When I compared Fitbit’s count with that of the iPod nano’s pedometer, the results of both sensors were within a 5% tolerance range, which seems to be fairly accurate. Compared to the 2 days battery life of the nano, the Fitbit runs for at least a whole week, which is definitely a more user-friendly experience. The dashboard on Fitbit’s website displays a good overview of your activity stats and the log is a well-structured file for storing one’s health data. For those who want to collect their fitness data at services such as Runkeeper, Fitbit allows you to easily connect your Fitbit profile with them and import your step count to them. Monitoring your step count and the number of floors that you’ve taken can definitely be a way to keep users engaged in improving their overall physical activity. A lot of people – including myself – feel motivated to walk instead of driving or take the stairs instead of using the elevator when rewarded with positive feedback. Especially allowing Fitbit to automatically post your stepcount on your Facebook or Twitter account can certainly spur your pride and step up your motivation. If you want to use Fitbit for sleep tracking as well, it can get a bit fiddly to constantly have to attach it to your armband overnight and then clip it back on to your clothing during the day. Companies such as Jawbone or MyBasis will soon come out with sensors, which can be worn 24/7 as a bracelet or watch, giving them an advantage over Fitbit’s convenience in everyday use. So far however, the Fitbit Ultra definitely remains a well-designed, user-friendly and health-engaging product that has made a great contribution to my personal wellbeing. With their just announced Aria Wifi Scale, Fitbit has made clear that they are going to continue contributing to a healthier lifestyle even more in the future.